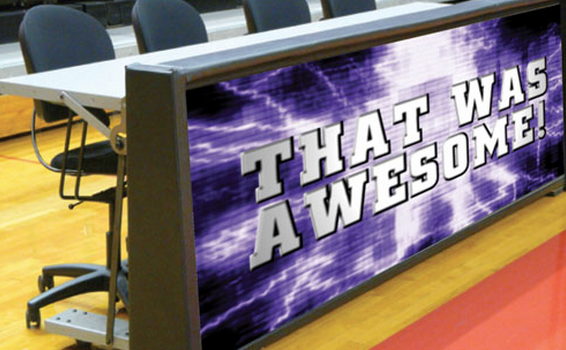 A scorer table is the athletic department's opportunity to keep the crowd excited with lively graphics. Nevco's LED Scorers Tables allow you to make the most of your courtside by displaying limitless spots for sponsors, advertising, and donors. Timeouts, half-time, game delays - there are numerous opportunities where you have a captive audience; an audience advertisers would love to reach. Selling advertising spots for specific sports, games, tournaments, or other school events generates revenue beyond just ticket sales. You can count on the Toadvine team to provide you with the right scorers table based on your needs in addition to the customer service that we pride ourselves on delivering.